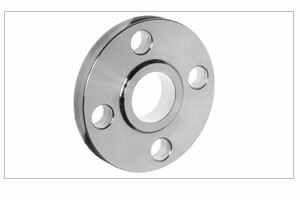 Kiah Metallurgical is acknowledged as a manufacturer, exporter & suppliers of Slip On Flange & Stainless steel Flanges (Gr. 304, 304L, 316, 316L) available in a variety or grades, materials, and finishes, in metric and inch sizes. These Slip On Flange are manufacture in different Material of Flanges like SORF Flanges, Carbon Steel Slip On Flanges, Stainless Steel Slip On Flanges, Alloy Steel Slip On Flanges, Duplex Steel Slip On Flanges, Inconel Slip On Flanges, Monel Slip On Flanges, Hastelloy Slip On Flanges, Copper Nickel Slip On Flanges in India & Asia, conform to Slip On specifications. The flange is slipped over the pipe and then welded both inside and outside to provide sufficient Strength and prevent leakage. This flange is used in preference to weld necks by many users because of its lower cost and the fact that less accuracy is required when cutting pipe to length. Standards : ANSI B16.5, ANSI B16.47 Series A & B, MSS SP44, ASA, API-605, AWWA, Custom Drawings. Coating/Surface Treatment : Anti-rust Paint, Oil Black Paint, Yellow Transparent, Zinc Plated, Cold and Hot Dip Galvanized.